Toller Song! Die ruhigeren Stellen bauen wunderbar zum lauteren Refrain auf. Und der ist natürlich super. I'm feeling an Emeli Sande kinda vibe with this track, it's ok. I'm not huge on his upbeat stuff and I don't think this will see the success that the previous two singles had. The chorus is strong though. I like this one. Definitely up there with 'I'm Not The Only One' and 'Stay With Me', if not better. His voice bores me but at least it's not BAD. Wederom fijne muziek van Sam Smith. ▒ Ook mij bevalt dit plaatje uit eind mei 2014 door de 22 jarige Britse zanger en songschrijver: "Samuel Frederick Smith", alias: "Sam Smith", best !!! Dik voldoende ☺!!! Nice stuff.<br><br>EDIT: I came from liking it to loving it in a very short period of time.<br><br>Becoming one of my favourite songs of the year, and it's still behind "I'm Not The Only One". I must say that Sam Smith has been a shining light in a very bleak year for pop music.<br><br>4* -> 5*. Schön produzierte Popmusik, die aber etwas simpler gestrickt daherkommt als "I'm Not The Only One" zuletzt - und mich daher nicht so völlig umhaut. Auch Sam Smiths Goldstimmchen kommt hier nicht so ganz zur Geltung.<br><br>Solide bis gute 4. Recht gelungen, aber nichts, was bei mir grösser in Erinnerung bleibt. Eine 4 scheint mir gerechtfertigt. Ik ben gewoon niet zo'n fan van de stem van Sam. het nummer is ook niet echt fantastisch. Hij heeft al interessantere nummers gemaakt. Vergeleken met zijn eerdere singles is deze voor mij een stuk minder indrukwekkend. Wellicht omdat de verrassing er vanaf is of omdat de stem van Smith inmiddels wat gaat vervelen. Kannte von ihm bisher immer nur recht langsame Songs. 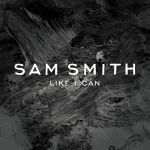 Dagegen wirkt "Like I can" recht flott und erfrischend. "They'll never love you like a can, can, can" (8)<br><br>After getting very sick of the previous two singles, this turned out to be a very refreshing switch up. Good job! This may sound silly but it sounds more like 'Next To Me' than 'Rolling In The Deep' or 'I Hope', which is good because I liked those three in mentioned order. Basically it was what I had been waiting for since 'Next To Me', a male vocalist making one of these kinds of tracks. Unsurprisingly, Sam delivers in spades and wow, that chorus is so catchy that it's impossible to refuse. Real winner and by far my favourite single from this era. And yeah, I may like it more than Latch even. Dit is toch Sams beste nummer to date. Lekkere, catchy uptempo-nummers, daar blinkt Sam Smith (in ieder geval in dit geval) in uit. Al die ballads worden ook maar saai en bovendien gaat Sams stem daarop wel erg vervelen. Dit nummer is echter perfect voor de hitlijsten! Absolutely adore this, it's his best song IMO.<br><br>The emotion just bleeds out of the speakers, what a cracking song. Seine stimme ist schon was Besonderes, dazu schöne Melodie. Gefällt mir wirklich gut, gerade die Gitarren am Anfang.... Für mich seine beste Single bisher! Find auch, dass das bislang seine beste Single ist. Der Song geht sofort ins Ohr u. stimmlich ist der super von Sam getragen.<br><br>Mag ich ziemlich gern, obwohl es auch sehr schablonenhaft umgesetzt wirkt, damit`s auch ins Radioformat z.B. passt. Aber Airplay ist halt auch wichtig. Der Song ist sicherlich nicht schlecht, aber ich finde Sam Smith gerade bisschen überbewertet! Ein neuer George Michael ist er für mich noch lange nicht. Zudem gefällt mir seine Stimme irgendwie auch nicht sonderlich! Even with the saturation of Sam Smith in 2014 and 2015 this has held up really well for me. I do love that it's more upbeat than the previous two hits. The upbeat feel is executed well and that chorus is so damn good. His voice really shines here but not as much in an overdone way like other tracks of his. Even the fact that lyrically it's a bit questionable, it's never really bothered me I guess. But then I've never had a problem with "Like It Like That" either which is basically the same thing so eh. It's just really such an enjoyable track, easily his best solo track. What a pity it couldn't have had a better chart run. Best wel aardig nummer van Sam Smith. Sehr cooler Song. Nochmal eine etwas schnellerer Song vom guten Sam! Nervt nach kurzer Zeit extrem.